How often do you appeal directly to God to teach you? How often then do you actively listen or wait to receive God’s instruction? Those thoughts keep arising each time I run into verses like the one above. The frequency has increased lately. When this happens I take notice. Now I am trying to do something about it. During Lent I have been using the Book of Common Prayer in the mornings and I observe the morning prayer rite. For those of you unfamiliar with that tradition, the morning prayer rite is essentially a mini-worship service laid out in an orderly manner. I like it and find it beneficial for several reasons. First, it stretches my prayers. It prompts me to pray about many things I would never consider. 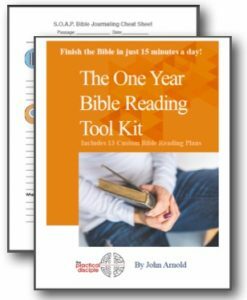 Second, it includes diverse and continuous scripture readings for each day that systematically takes you through most of the Bible. Lastly, I feel more connected to the body of Christ because brothers and sisters in Christ around the world are reflecting on the same passages and prayers even as I do. Prayers united are powerful prayers. Lately, inspired by the verse above and a growing sense of a need to truly lean on the Holy Spirit to teach me, I have been actively listening for what God wants me to hear and apply from each day’s readings. I am reminded of George Washington Carver who use to slip out to a sit spot in the woods before dawn each day to get his “marching orders for the day from God.” God’s orders for the day are not always easy to recognize. Yet, if I wait upon the Lord, he will eventually speak. I don’t hear God audibly, but typically a verse or phrase of Scripture will keep attracting my attention. Pondering, “Why is this important?” or “How can I apply this?” eventually yields answers. If I will order my day around these thoughts, life almost always runs more smoothly. For example, about three weeks ago four words seemed extremely prevalent in the scripture for the day: Give, Pray, Encourage and Study. God called to me through these words. I played with them a bit and rearranged them into a helpful acronym, PEGS. Multiple days since then I have sat down and consciously hung activity on each of the discipleship PEGS of Praying, Encouraging, Giving, and Studying. I create a short list of how I will pray, who I will encourage, what I will give and what I will study. This practice benefits not only me but the people around me. I am growing both outwardly and inwardly as a disciple. Prayer and study grounds me in God and God then informs my day. Giving and Encouraging build the body of Christ. You might want to try using these PEGS. PEGS or no PEGS, what I hope you hear is the value and importance of actively discerning daily how God wants you to spend your day. I encourage you to do this at whatever level is appropriate for you. At first this may feel clunky. That’s okay. Read the word. Wait. Listen. Act. Overtime this cycle of daily discernment seems to compress itself. In other words, it does got easier. I find also that a discipline of daily discernment refines or empowers my ability to recognize God’s will around bigger issues. In short, by daily stepping forward to what you believe God is bidding you to do, you train yourself to more readily step forward in faith for more significant life changes. To those of you who are thinking, “BUT I don’t have the time to read and sit and listen.” Get rid of you big “BUT”. You can’t afford not to do this. The likely alternative is a life of busyness lacking value and meaning. Who wants that? All of your busyness means nothing if it is not coming from God. I can honestly say, I never regret this process. I do regret when I fail to do this. As I have reveled before, I have gone through several years of really difficult times. An out of control teenager, a depressed spouse, and me, trying to find an escape from the pain in ways that aren’t the best. I spent night after night literally crying out to God for help. I was reading the Bible one day when the page flipped and I noticed a verse I had highlighted some time but don’t remember when. It said, “His son lived and all in the house believed.” I felt it was God telling me that my son would work through his difficulties and everything in my family, my marriage, would be ok. This past weekend my hub and I spent our 25th anniversary camping. It was a magical weekend as we are finally over the hump and are in a much, much better place. I really love my hub so much, something I haven’t always been able to say. On Sat night, we had a pastor come and we renewed our vows at our campfire. On Sunday I was spending some time alone with God and I was INCREDIBLY overwhelmed with gratitude as I thought back on the last five years. I had to get face down on the floor and just be thankful. I can’t believe that God heard my cries all those nights when I wanted to die. I can’t believe that he noticed my pain and rescued me. What’s a girl to do with that? I know we are to be patient because God’s timing is not ours but waiting was so difficult to do. I did realize after the day where the page turned in my Bible that God could be trusted to work all this for good and he really did. He really did. I am not worthy for God’s help but WOW, I am deeply grateful that he is my God and loves me anyway. I’m still really struggling with the overwhelming feeling of gratitude. I start to cry whenever I think about how God worked in my family. I am glad I trusted God to do what he promised and I persevered while I waited. God is so good. I love him so much. I can’t get enough.